Functional genomics has come of age. No longer is it an adventure for the avant garde scientist, but it has become an increasingly standardized mainstream tool accessible to any modern biological laboratory. Toxicogenomics studies are now generating an avalanche of data that, with the aid of established informatics methodology, is being translated into biologically meaningful information. This is enabling us to start harvesting the benefits from years of investment in terms of technology, time, and (of course) money. It is therefore timely to bring together leading toxicologists with a wide variety of scientific aims in this book to demonstrate how microarray technology can be successfully applied to different research areas. 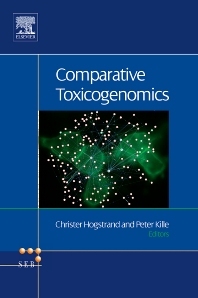 This book transects biology from bacteria to human, from ecologically relevant sentinel organisms to well-characterized model species, and represents the full toxicogenomics arena from exploratory "blue sky" science to the prospects for incorporation into regulatory frameworks. Research Scientists working in toxicology, genomics and pharmaceutical companies.